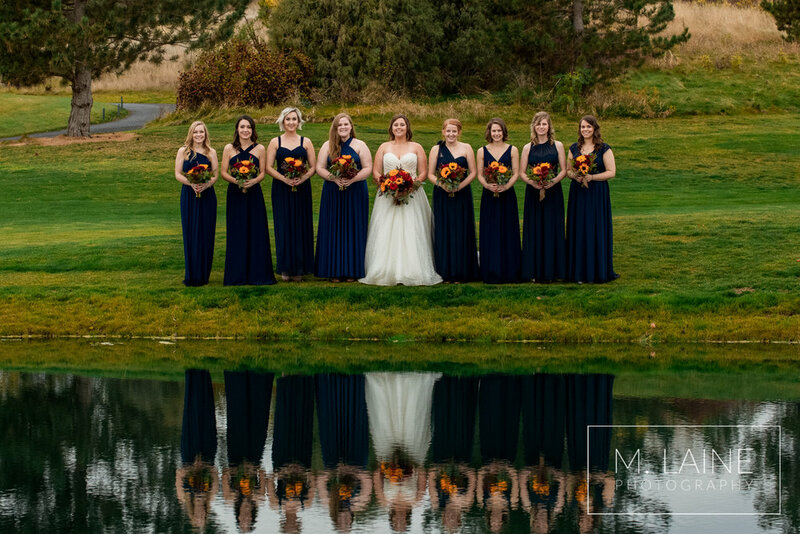 Samantha and Gabe had the most meaningful first look and ceremony locations of all the weddings I've photographed so far. 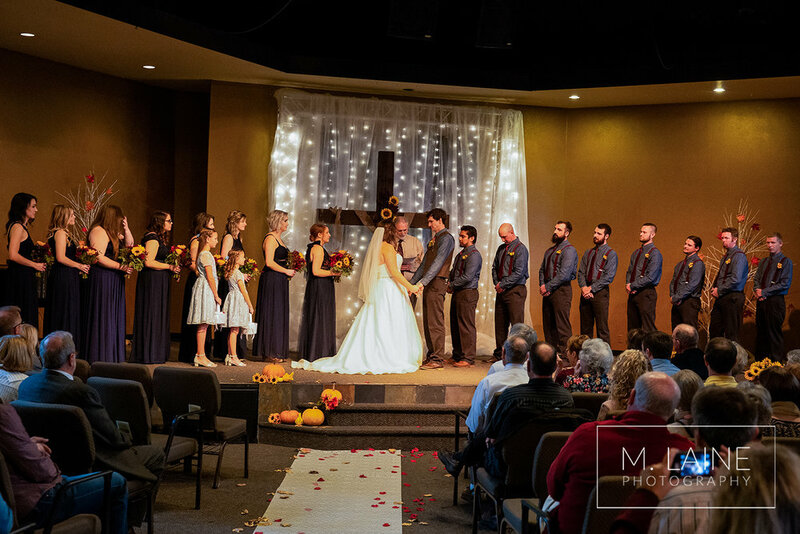 Their ceremony took place at the Quincy Free Methodist, where each of their parents, and Sam’s grandparents were also married. 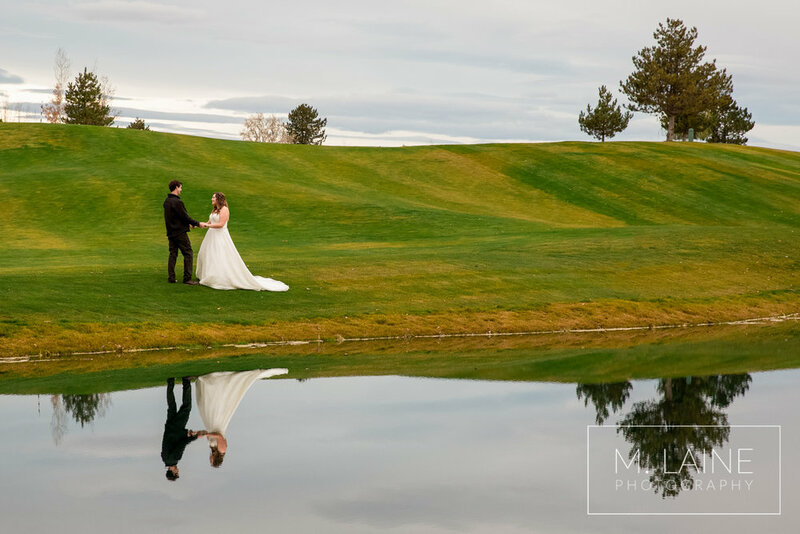 We photographed their first look at the Links at Moses Pointe golf course where they've spent many hours together dating. The two locations made for a beautiful blend of referencing the past and looking ahead to the future. 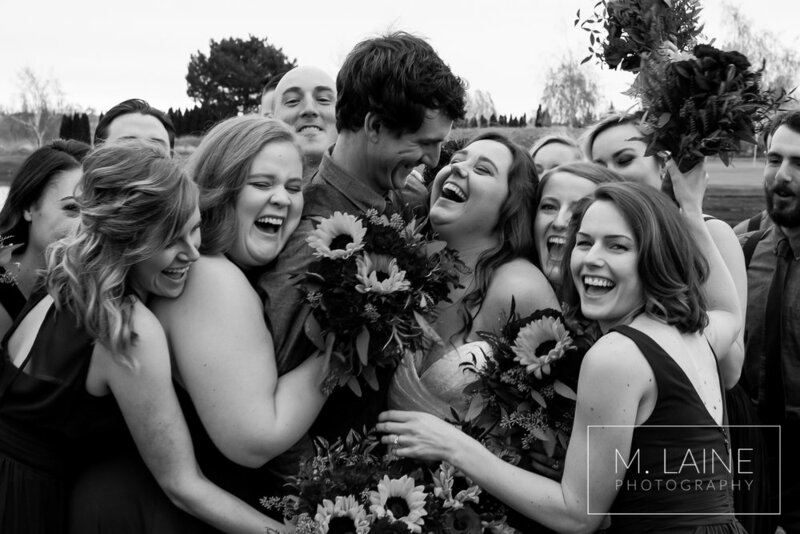 Their family and bridal party portraits took place at the golf course as well, and soon after it, Sam pulled off surprising Gabe with a gift of new golf clubs. 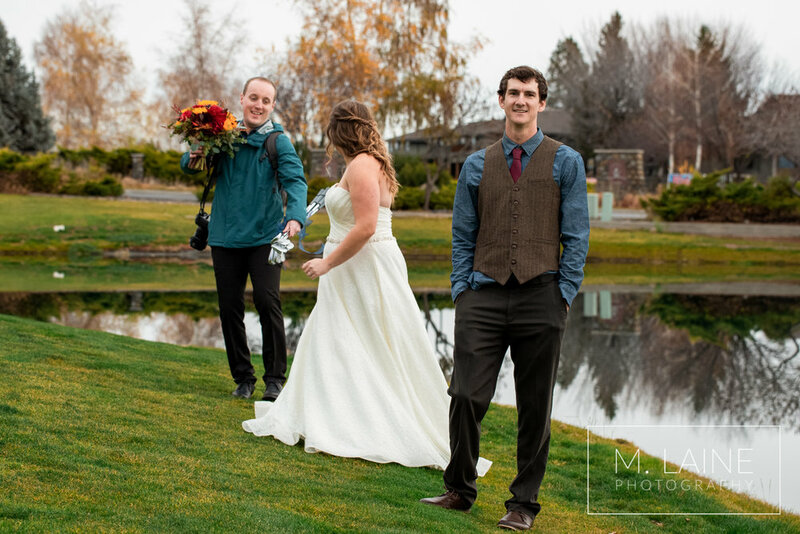 In order to make it happen, we had Zach, my husband and second shooter, run back to Sam's car to “grab the bouquet” while Sam and I distracted Gabe by taking more portraits. The car was a ways away but Gabe was so polite and never questioned my instructions to keep posing, smiling and "Look this way! Look this way!". When he finally did turn around and see Sam with the clubs, he was so shocked and happy, it was one of my favorite moments of the day. 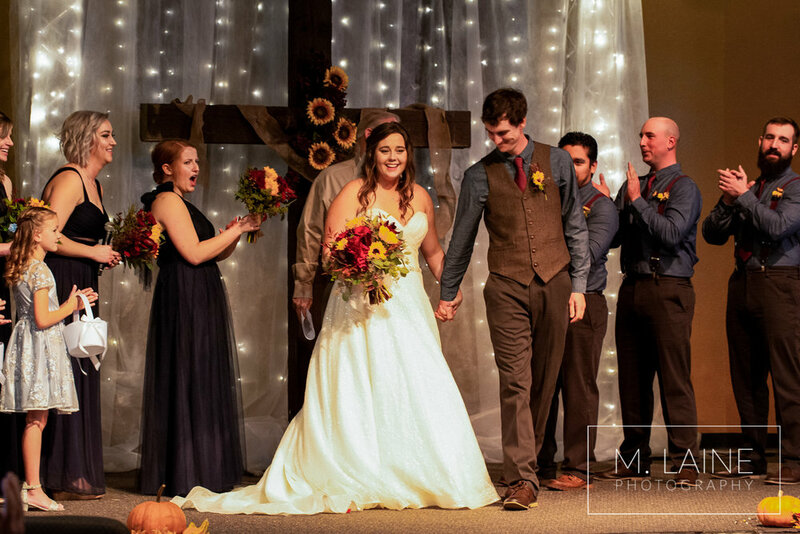 They hosted the reception at the Heritage Barn in Quincy. 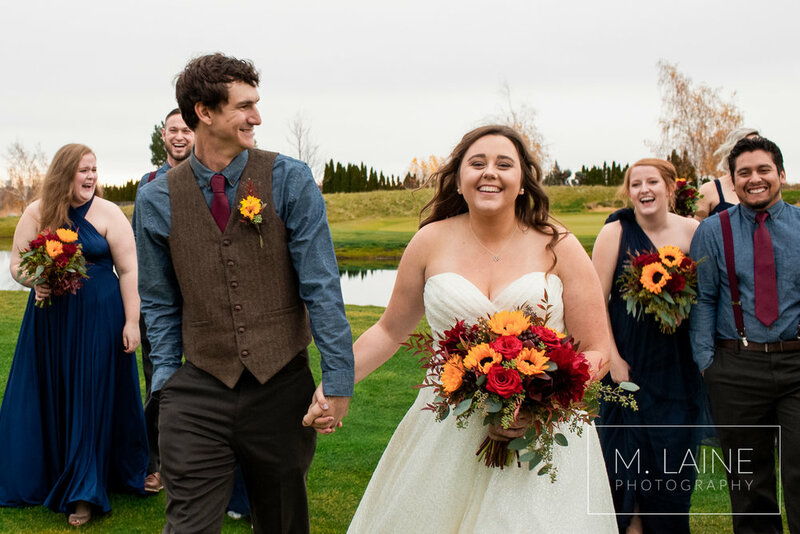 Everyone’s favorite reception detail was their cake — which wasn’t a cake at all. Staying true to their brunch theme, they had stacks of cinnamon rolls in place of a wedding cake. 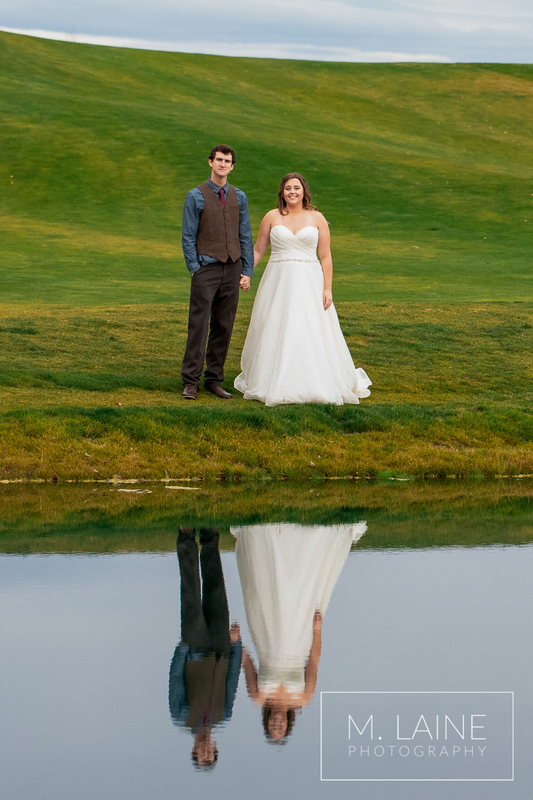 It was so cute, almost as cute as Sam and Gabe cutting it!